A 54-year-old Lupane man was sentenced to death after he killed his step-father for assaulting his mother. 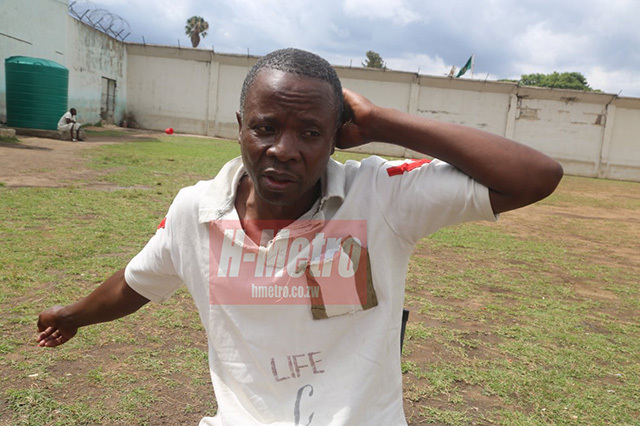 Barod Maxwell Sibanda, who benefitted from the Presidential amnesty to life sentence, told H-Metro that he used a kitchen knife to stab his late step-father to death after he caught him assaulting his mother 24 years ago. “My father passed on while I was still young and my mother got married to an abusive man who was ever assaulting her in our presence,” said Sibanda. “Sometimes he would sell cows and leave home to spend money with his friends and upon returning he would assault my mother after she confronted him over where he was spending money. “He could not stop his habit even after I grew up and this forced me to enter into his bedroom without knocking when I heard my mother shouting for help. “I took a kitchen knife and forced my way in and stabbed him once and he died within some minutes. “I was arrested together with mother and my mother was later released during the time when Amai Mujuru visited female prison as the Vice President. “It affected me much since we were all facing the same case but I later realised that women were weaker vessels. “Former President Mugabe reduced my sentence to life imprisonment through an amnesty and this year I tasted freedom for three days when President Mnangagwa released many through amnesty. Fellowship waiting to be reunited with my relatives. “I nearly took my life by cutting my throat using an iron bar upon receiving a message that I was not supposed to benefit. “I regret my actions and apologise to both the family of the deceased and to Zimbabweans but I feel challenged by remaining behind bars after I was counted among those who were freed through amnesty. “My mother has not visited me after she was released and my wife has since returned to her parents,” said Sibanda remorsefully. Sibanda is the only inmate sentenced to life imprisonment at Harare Central Prison.